Welcome back to a new school year full of exciting activities. 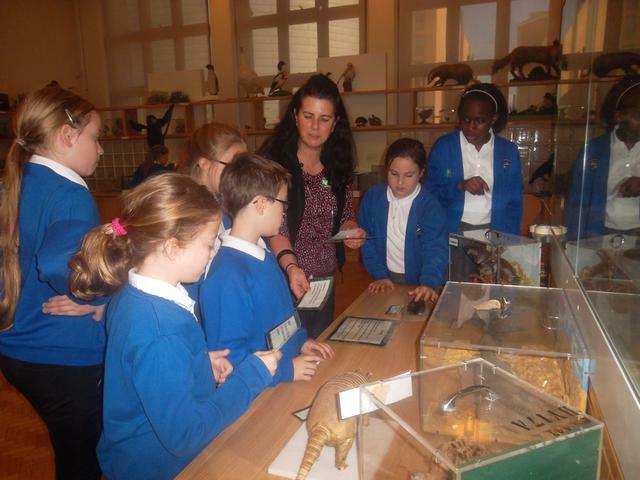 My name is Mrs Billam and working alongside me this year is the wonderful Mrs Darbyshire. 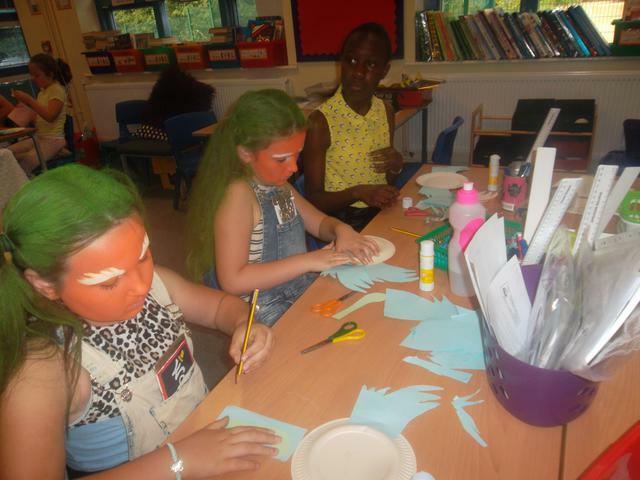 In Art, we will be designing and making Greek vases from paper mache. 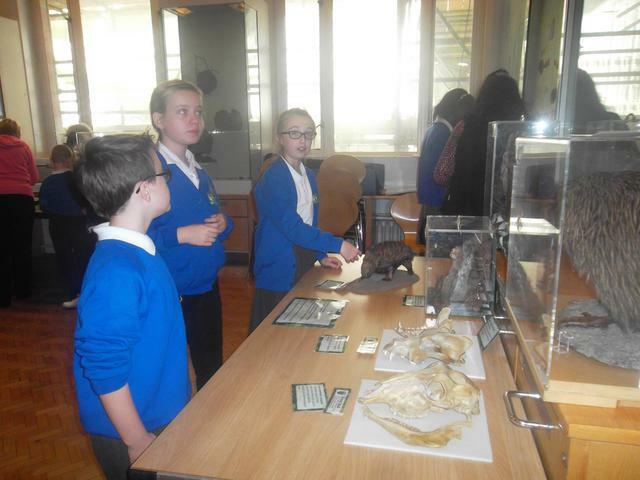 Later on this term, we hope to be visiting Liverpool World Museum to take part in a range of fun activities to further develop our knowledge and understanding of this topic. In November, we have a cinema visit planned to Accrington Vue to watch the film Captain Underpants. 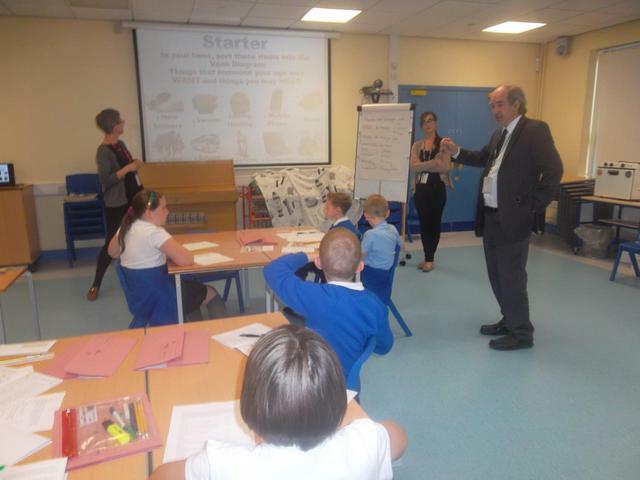 Our Money Skills for Life training will begin again this term for Year 5 and Year 6. PE this year will be on a Thursday afternoon. 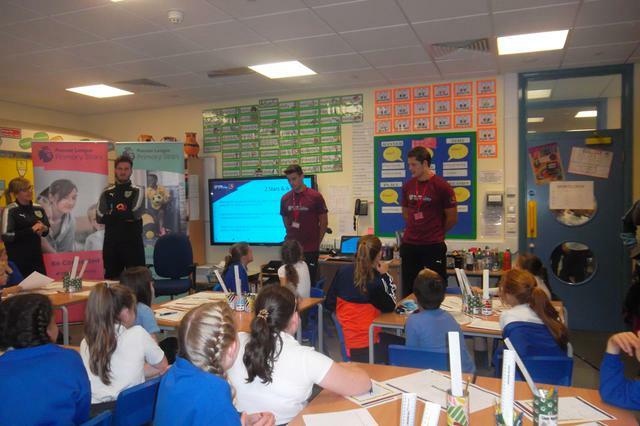 It is an important part of the school curriculum and all children are expected to take part so make sure you have your full PE kit in school. Two pieces of homework are sent out on a Friday (English and Maths) and should be returned at the latest by the following Wednesday so that homework can be marked. New spellings to learn will be sent home on a Friday and there will be a spelling test on the following Friday. 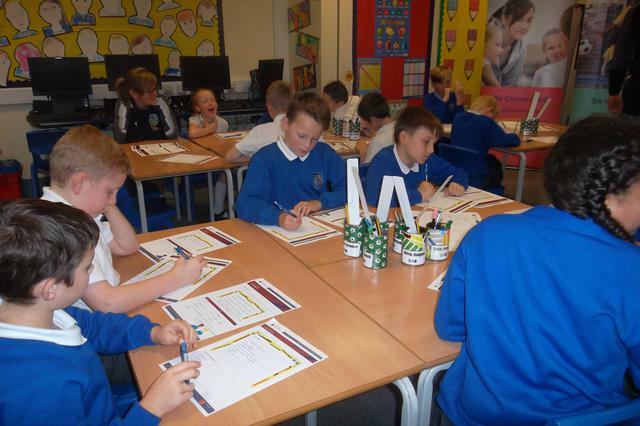 Weekly arithmetic tests also take place on a Friday, focusing on multiplication tables and basic maths facts and calculations. 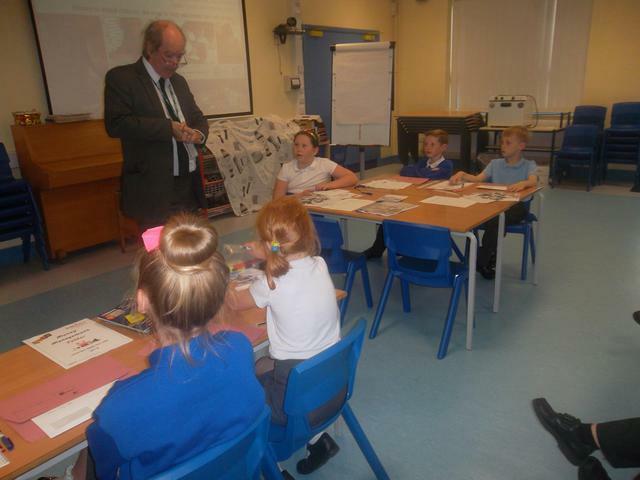 Reading is at the heart of our curriculum and we encourage our children to read as often as possible so please remember to bring your book into school every day if possible. 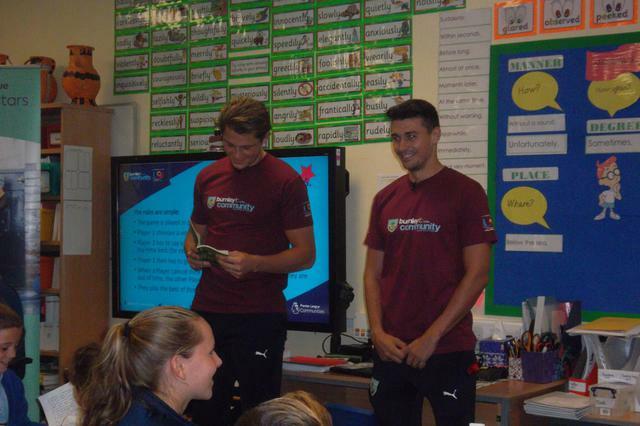 Last week, the whole school celebrated National Fitness Day. 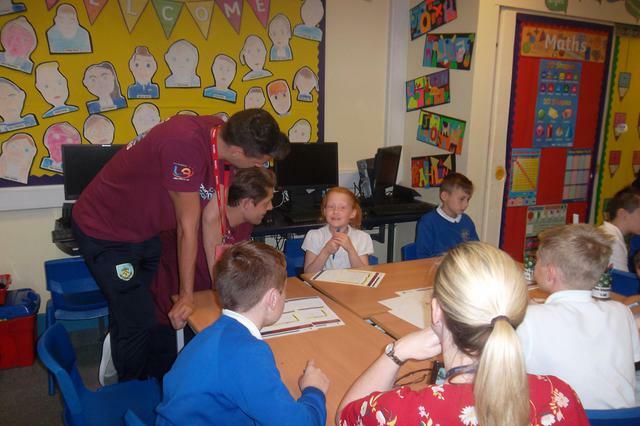 Everyone took part in some tough circuit training which was followed by a special assembly led by Burnley Football Coach, Paige Costello, all about healthy eating and exercising. 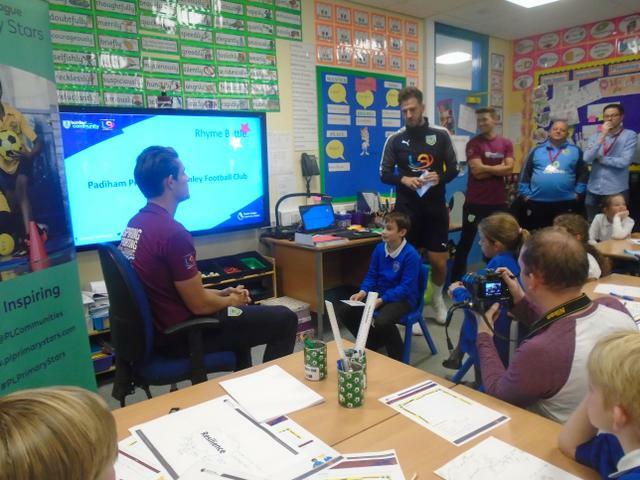 A national poetry writing competition, run by the Premier League Primary Stars, was launched at Padiham Primary School on Friday, 29th September. 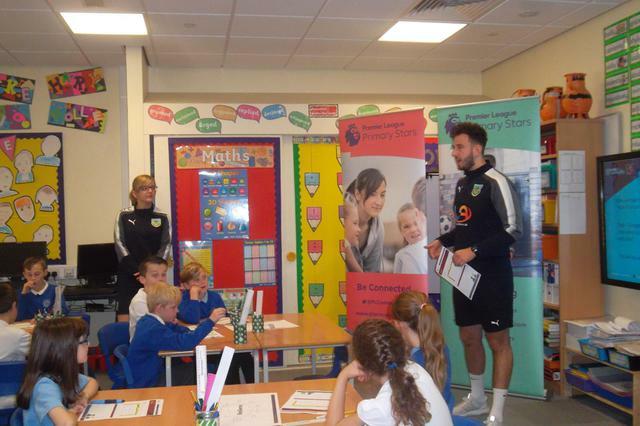 The session began with Lewis, a coach from Burnley Football Club, introducing the theme of the competition: resilience. 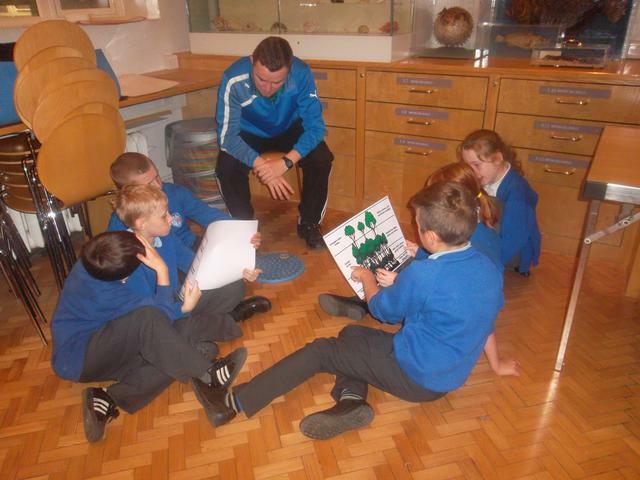 In small groups, the children were asked to define resilience and identify key words associated with the theme. After watching a short inspirational video, they then explored times in their lives when they had shown this quality. 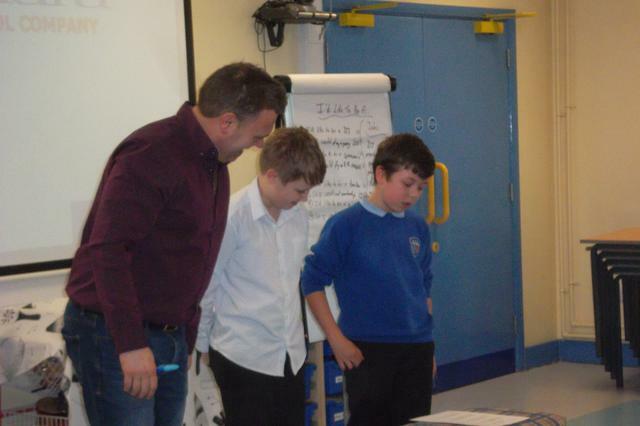 These ideas then became the basis for a poem on the theme. 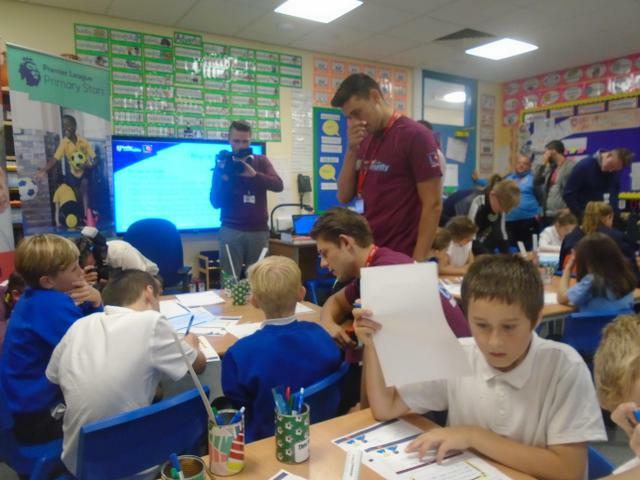 Shortly after, there was great excitement when James Tarkowski and Matthew Lowton arrived along with representatives from the Premier League, and the national press. The room was packed! 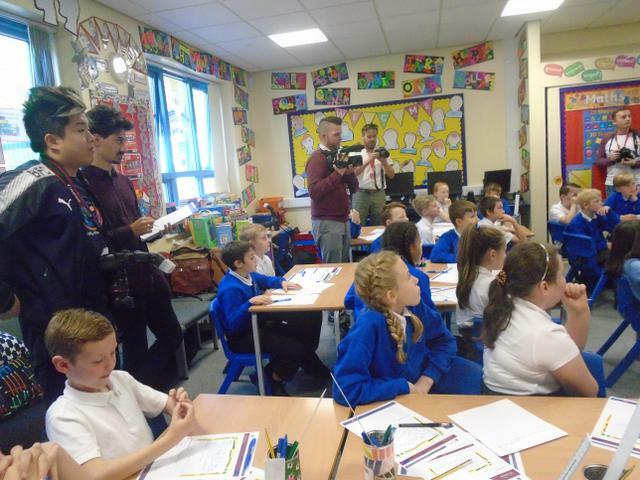 Faith and Xavier were lucky enough to be chosen to ask James and Matthew questions about their favourite books and music. 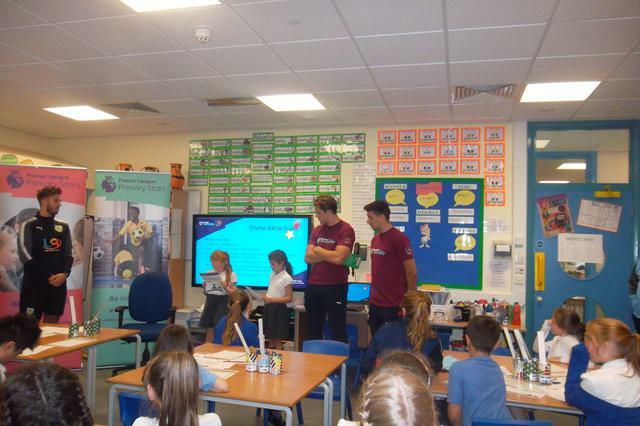 As the children were busy drafting their poems, Matthew and James circled the room to offer advice and read some of the children’s work. 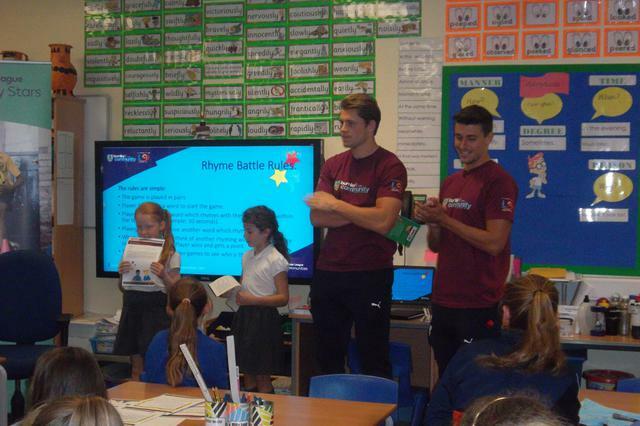 The session concluded with an exciting Rhyme battle between Xavier and James. To Xavier’s delight, he was crowned the winner. 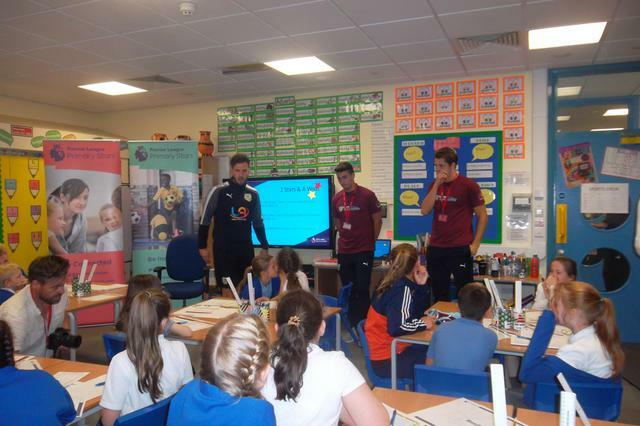 It was a fantastic afternoon and we are delighted to have been given the opportunity to launch the event. 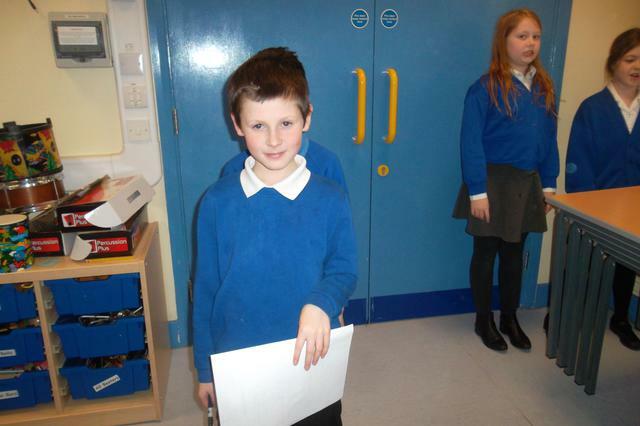 All the children produced some thoughtful writing but Caitlyn’s and Harriet’s poems were chosen as the winners and each received a certificate. 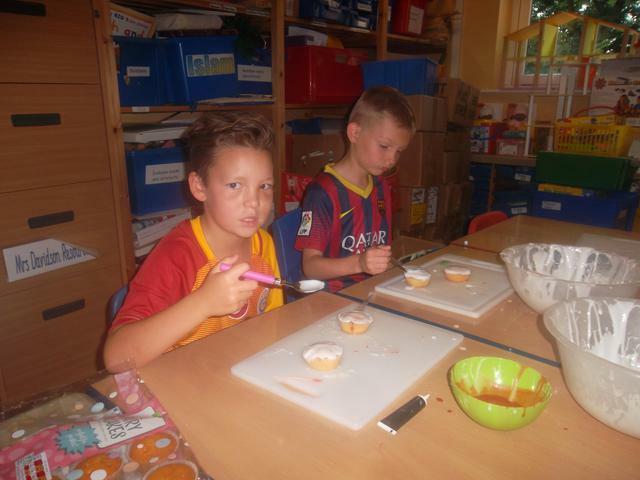 The children have made a fantastic start to their Greek vases. This stage involved adding layers and layers of paper to a balloon and card structure. The next stage will be adding colour and pattern to create the final product. 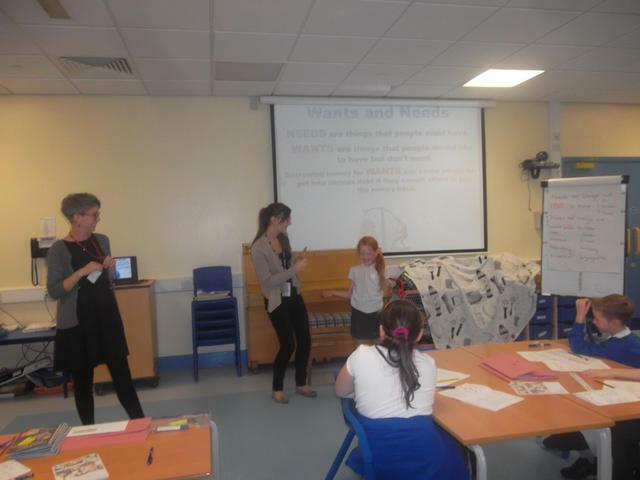 We had a fantastic week celebrating reading this week. As part of the theme Magic, Mystery and Monsters, our class read the graphic book, The Wolves in the Walls by Neil Gaiman. 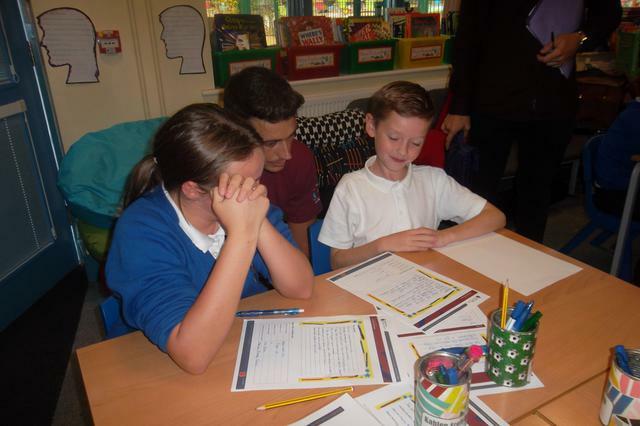 The children produced a range of wonderful writing based on the book: text messages, predictions, newspaper reports and diary entries. 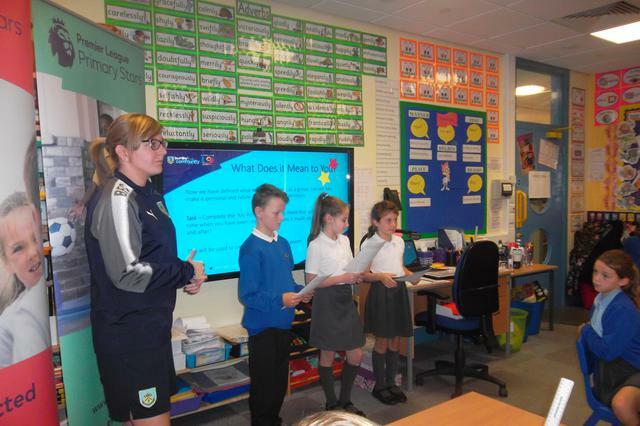 Laura from Burnley Youth Theatre led a wonderful workshop last week in order to prepare the children for our trip to the theatre to watch the pantomime Snow White. 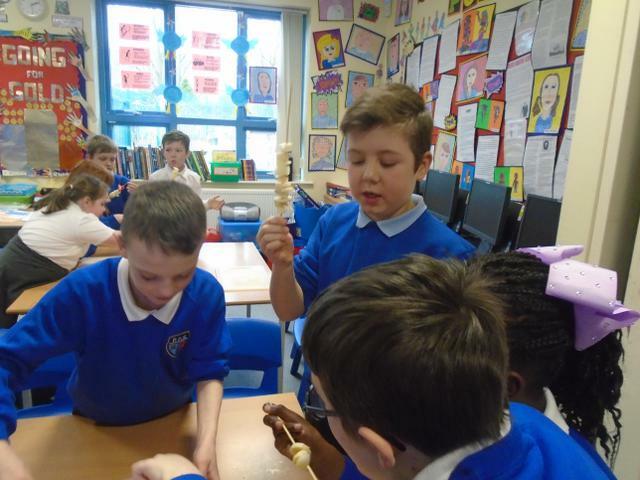 Welcome back to a fun-filled term, packed with exciting learning and activities based on our topic Inventors and Inventions. In English lessons, we will be reading the fantastic Clockwork by Philip Pullman and producing a range of writing based on the book. 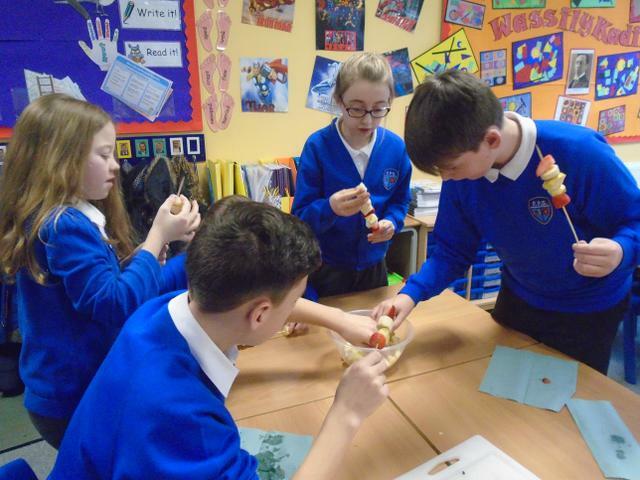 Our class novel, Who Let the Gods Out by Maz Evans, is an exciting and really enjoyable read and we are looking forward to seeing how the story develops. Our theme for this year's World Book Day was Heroes and Villains and 5/6B really enjoyed reading Saint George and the Dragon by Geraldine Mc Caughrean. 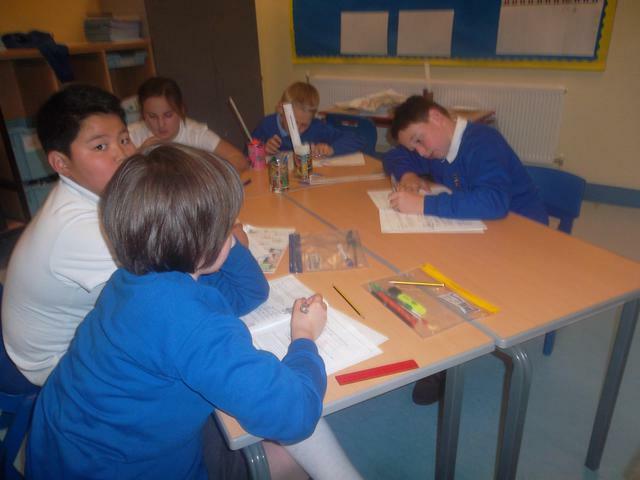 The book inspired some wonderful writing; diary entries, newspaper reports, instructions and short stories. 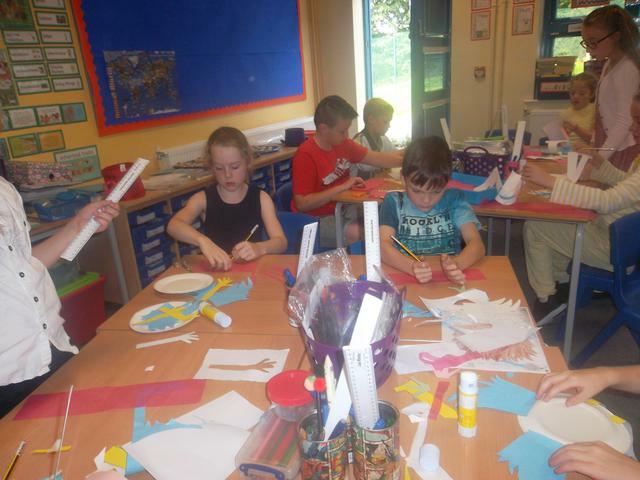 We also enjoyed creating some fantastic art based on dragons. Well done to everyone for their fabulous costumes and a special congratulations to Xavier and Faith who were chosen as winners. 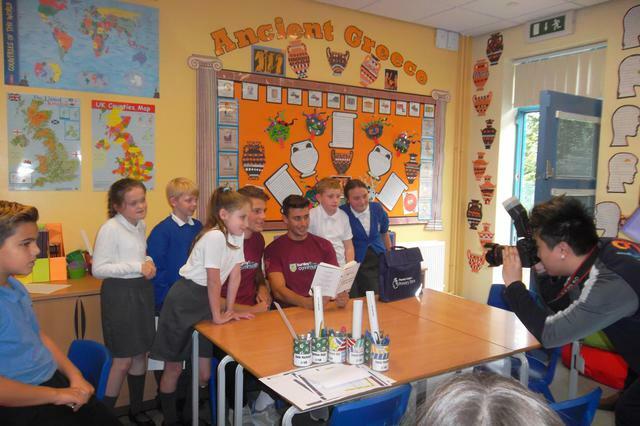 Each received a book and a goody bag. 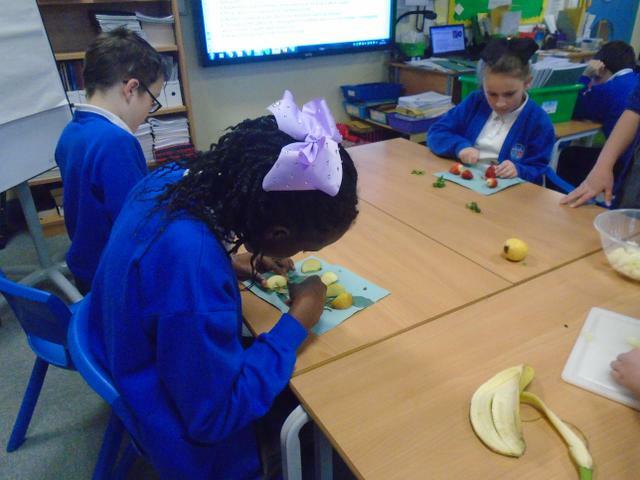 Over this half term, Year 5s will be investigating where are food comes from and how land is used in the UK, Mediterranean and tropical climates to produce food. 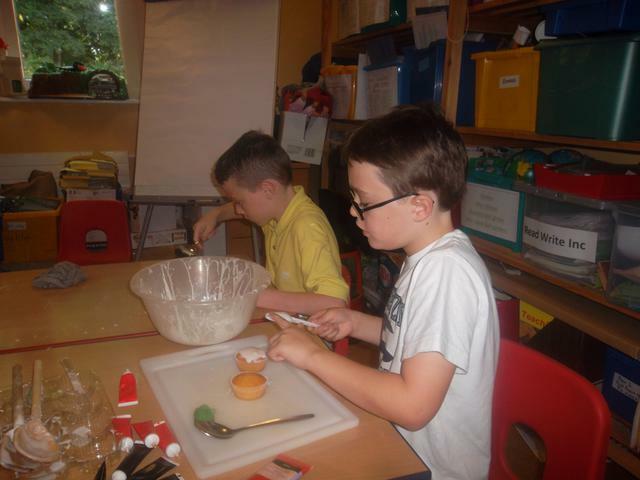 Not only will bwe e finding out about food but also cooking it! 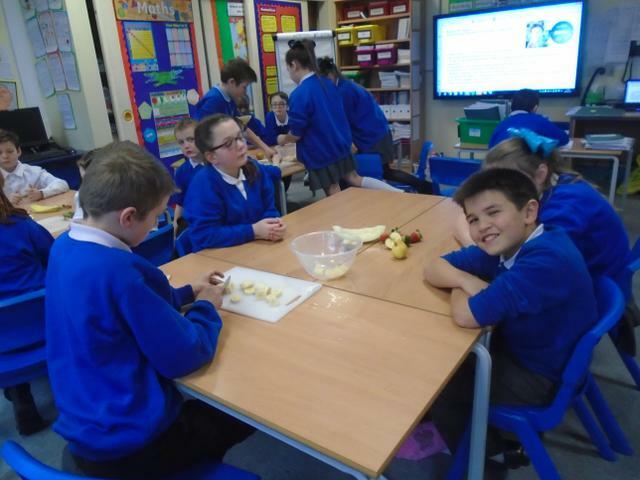 Art lessons will focus on how Giuseppe Arcimboldo used food as an inspiration for his artwork which will be a brilliant stimulus for the children to create their own food-inspired collages. In English lessons, we will be reading the wonderful Street Child by Berlie Doherty and Timothy Winters by Charles Causley. 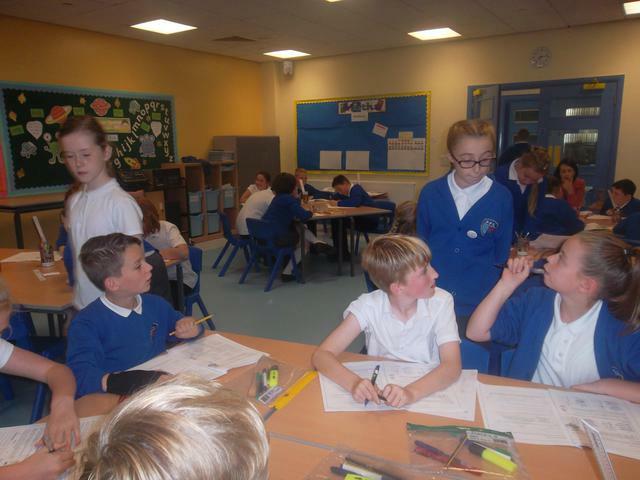 Year 6 will be busy this term preparing for the SATS in May. 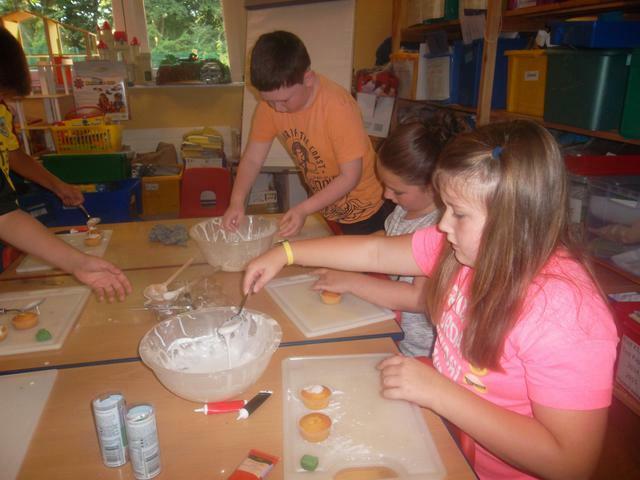 After that, it will be time to focus on the end-of-year production, the Leavers' Assembly and Enterprise Week. 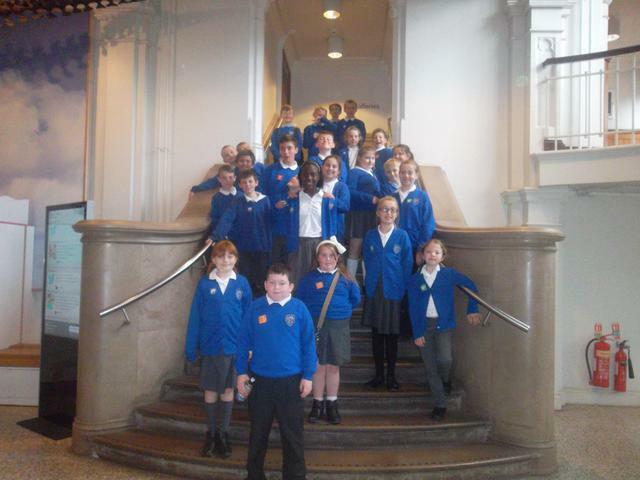 We had a brilliant time visiting MOSI last week. 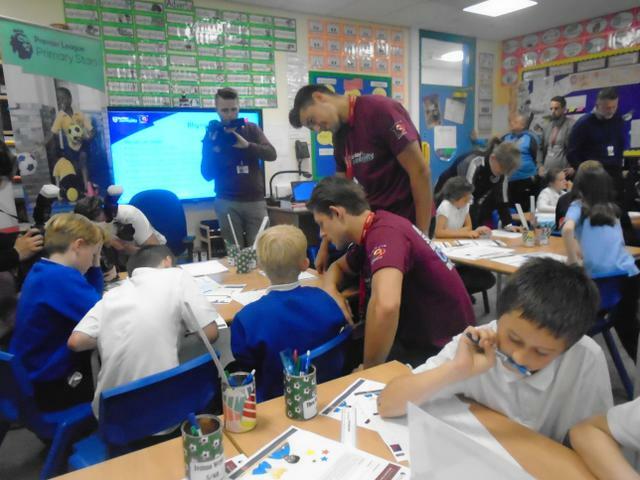 There were lots of fascinating displays to look at and some brilliant demonstration: Tim Peake's spacecraft the SOYUZ TMA-19M, Manchester Mills and a working engine in the Power Hall. 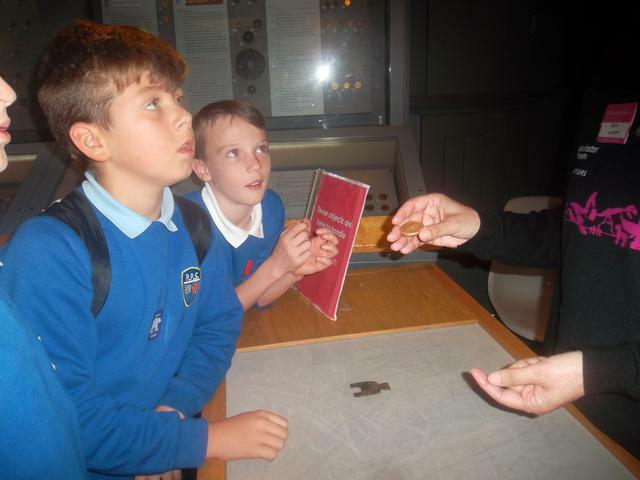 The day ended with an exciting and fact-filled workshop on Flight and Forces. 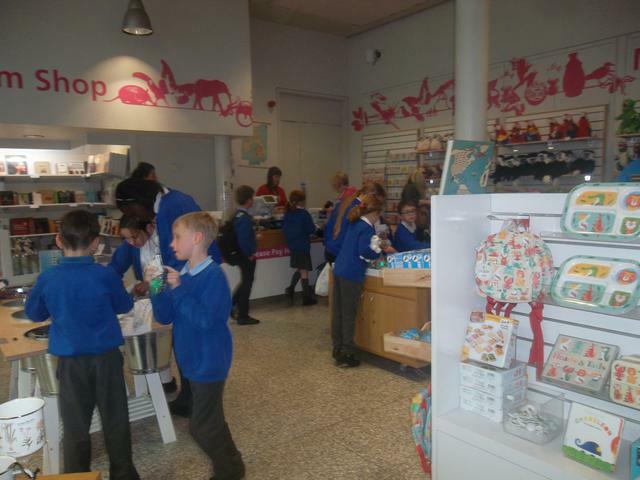 Our topic this term is Oh! I do like to be beside the seaside which focuses on holidays and leisure from the Victorian era to the present day. 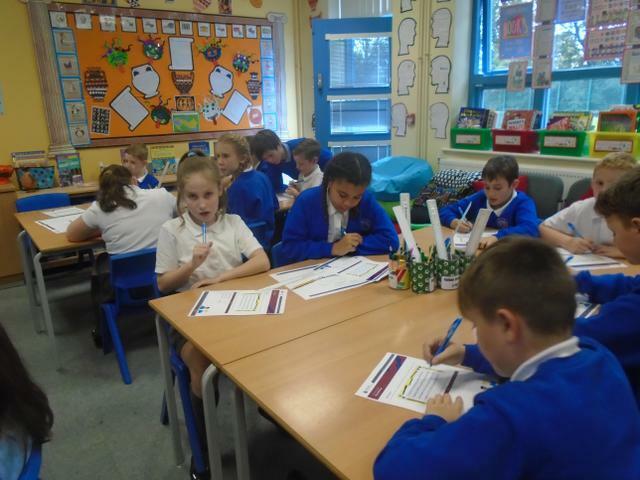 Our particular focus will be on how Blackpool became a popular seaside resort and after researching this area, children will produce a persuasive leaflet about the attractions of Blackpool in the Victorian times. 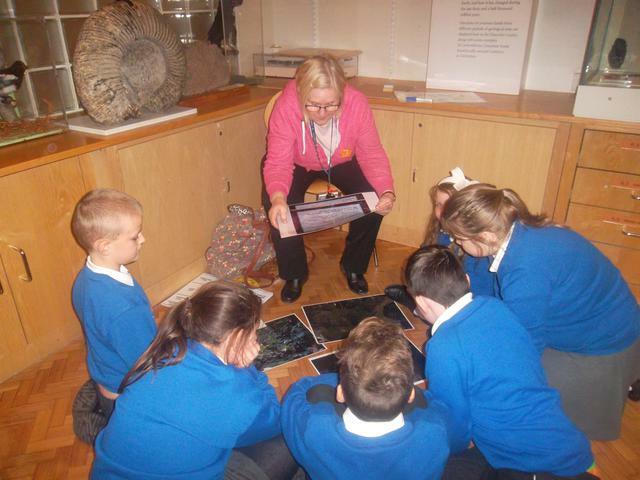 In Geography, we will be studying the human and physical geography of Blackpool using maps, images and digital mapping software. In Art, we will be examining the work of famous artists who have been inspired by the seaside and using this as a stimulus for producing our own paintings, drawings and collages. English work is based on the classic narrative poem The Lion and Albert by Marriott Edgar. 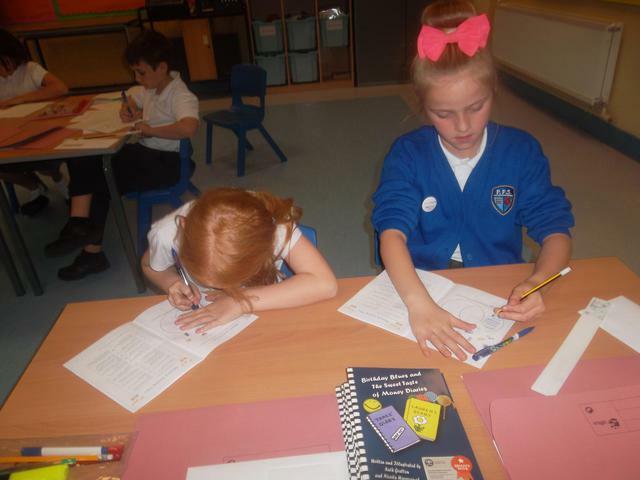 A range of writing will be produced in response to the poem: newspaper reports, diary entries, letters of complaint, accident reports and cartoon strips. Later on in the term, we will be writing short stories, told in flashback, loosely based around the true story of Titanic. 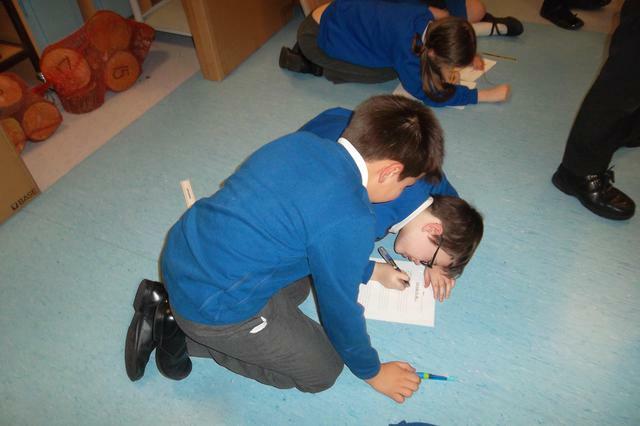 This half term, our topic is Super Sleuth. 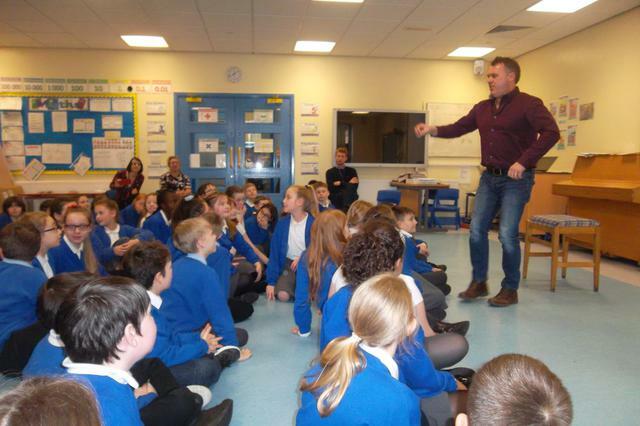 In English lessons, we will be reading the story The Curse of the Purple Mask by Simon Cheshire, which describes the adventures of an eleven-year-old detective named Saxby Smart. This short story will hopefully inspire some wonderful mysteries of our own. 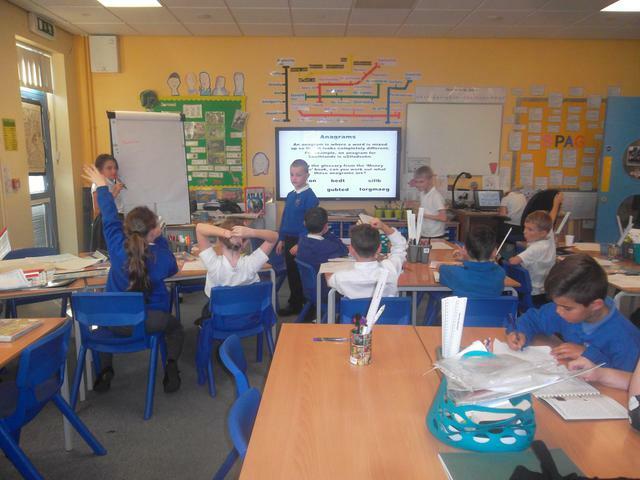 Our Science topic is Classification and the work of Carl Linnaeus and in our History lessons, we will be researching the Anglo-Saxons, Vikings and Normans. We have had a wonderful week celebrating books. Our theme has been Silly Stuff and Nonsense; we have spent the week reading nonsense poetry by Michael Rosen and Lewis Carroll, and producing some fantastic artwork in the style of Rene Magritte, a Surrealist artist. 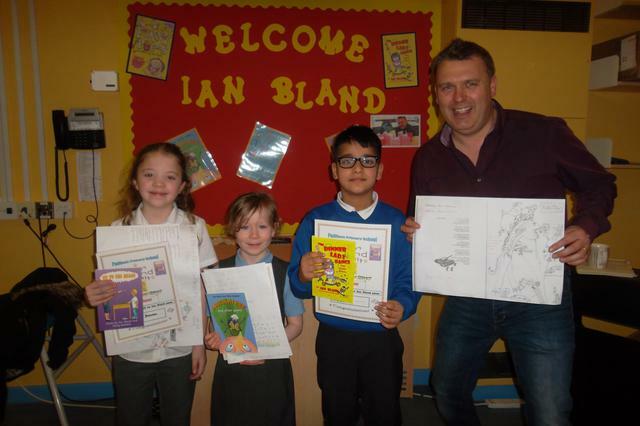 Every child was lucky enough to receive a World Book Day of their choice. Congratulations to Jazmine and Tyler for their wonderfully imaginative costumes to celebrate World Book Day. Enjoy reading your new poetry book. 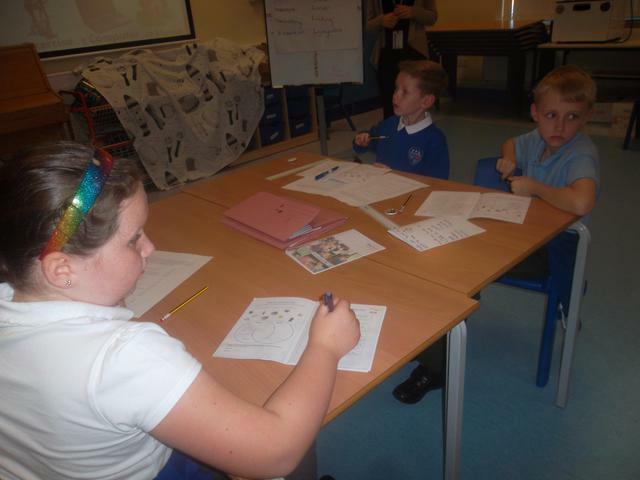 Children worked in pairs to come up with imaginative ideas about what they could be when they grow up and what they would do if they were lucky enough to get those jobs. 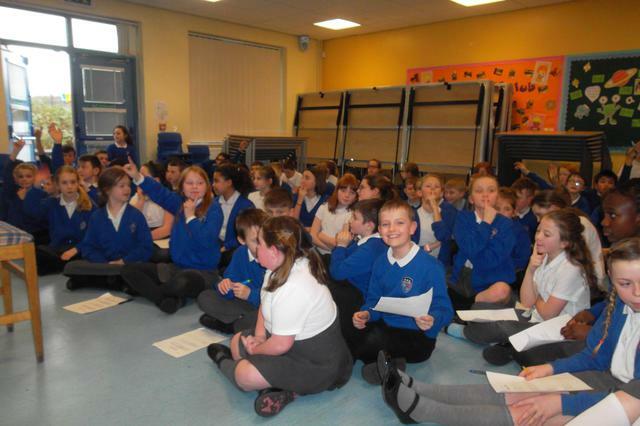 Everyone loved writing their poems and enjoyed performing them to the rest of the class and school. Well done Chloe for your brilliant illustration of Ian Bland's poem, What did we find in Phillips tray? Enjoy reading your book! 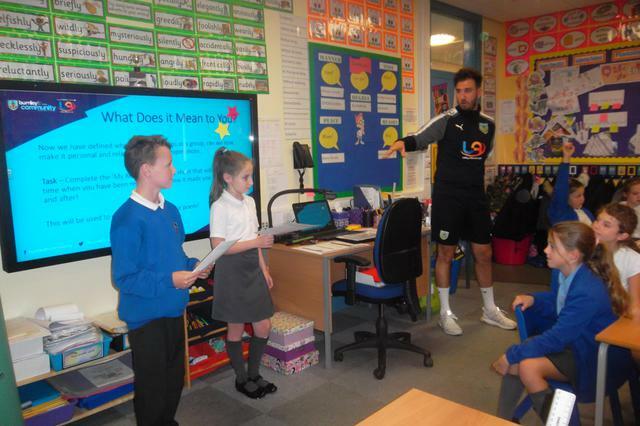 Our topic this term is Heroes and Villains. In English lessons, we will be writing in a range of styles on the theme of Superheroes and writing a modern version of a scene from Macbeth. 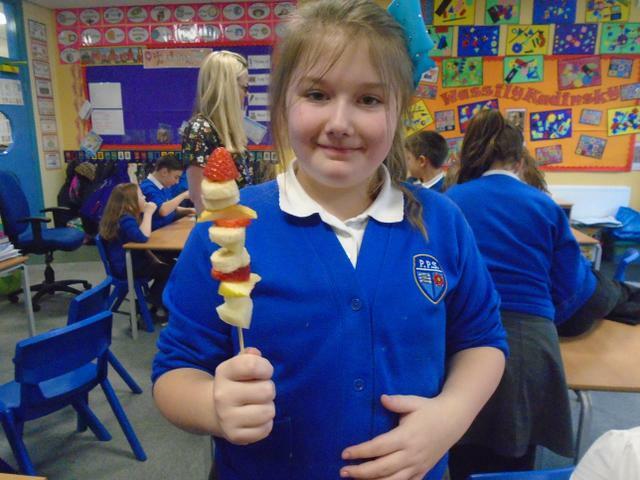 Our focus in Science is Exercise, Health and the Circulatory System and this links with our work in Design and Technology where the class will be designing, making and eating a healthy fruit salad. 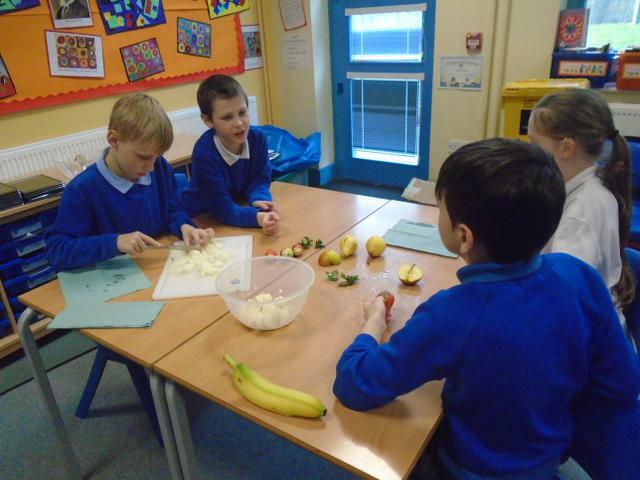 Our challenge in Computing is to create a simple game about healthy eating. In Art lessons, we will be creating portraits in the style of Roy Lichtenstein. 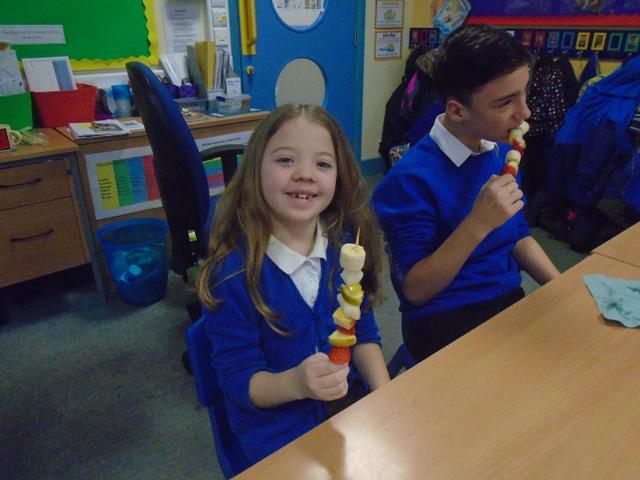 As part of our work in Design and Technology and linked to Healthy Eating in Science, we made fruit kebabs and the results were amazing. 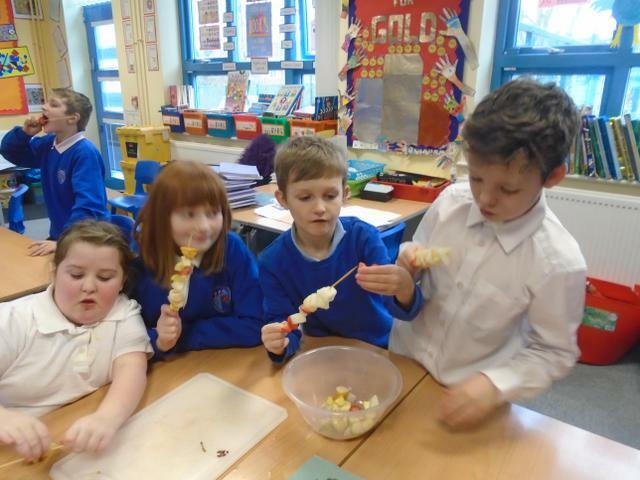 Everyone loved making the kebabs and enjoyed eating them even more. 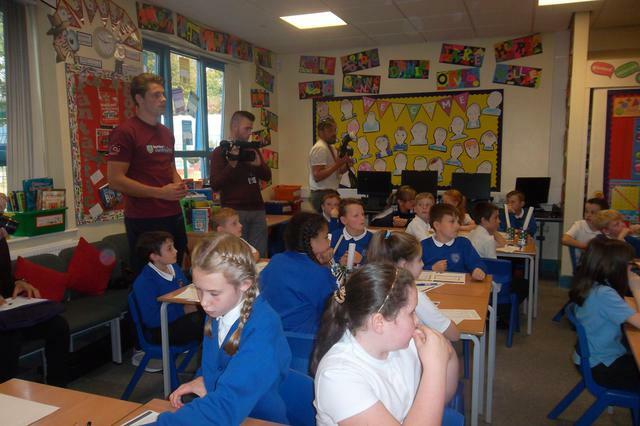 We had a fascinating time using Google Expeditions! 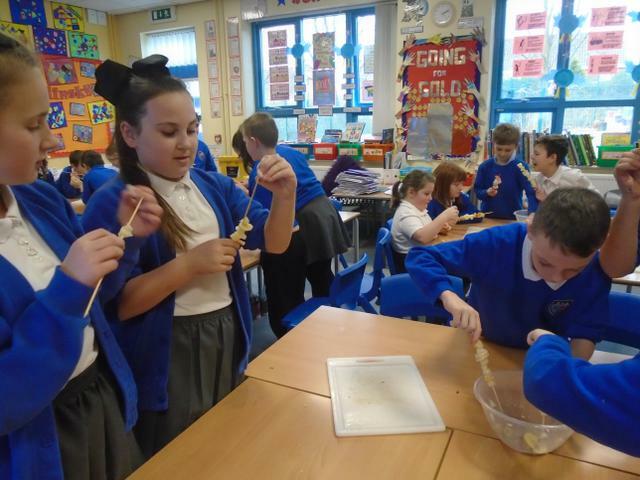 We explored the inside of the human body, taking a closer look at the circulatory system which proved very interesting. To celebrate book week, our classwork this week was based around the fantastic book Tuesday by David Wiesner, which really captured everyone's imagination. During the week, we read the story several times, watched an animated version and produced some great writing: police reports, phone conversations, diary entries and newspaper reports. 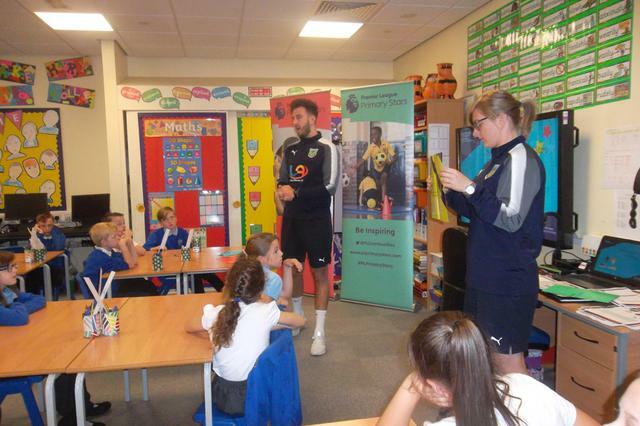 Congratulations to Re'nel and Dalton who were chosen as winners in the dressing-up competition on Thursday. 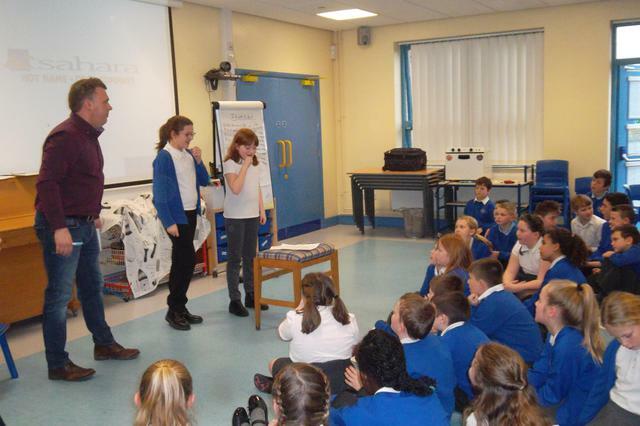 To finish off Book Week with a bang, each child received a book which was bought with some of the money raised by the Year 6 Enterprise event last summer. 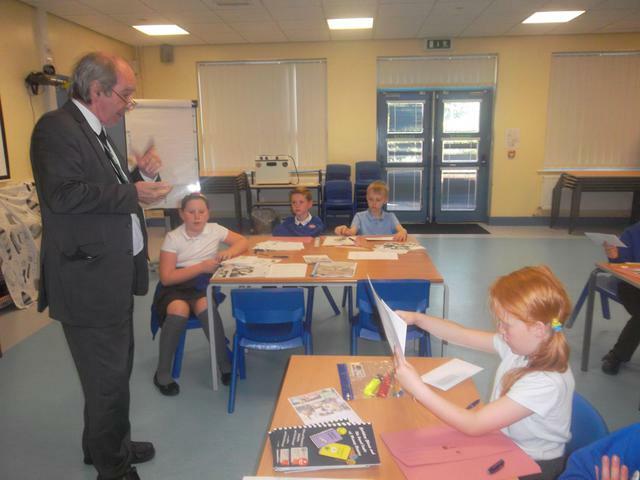 Years 5 and 6 have been busy this term taking part in Money Management sessions led by Brian Souter, Abigail and Emma, from Debt Aware. 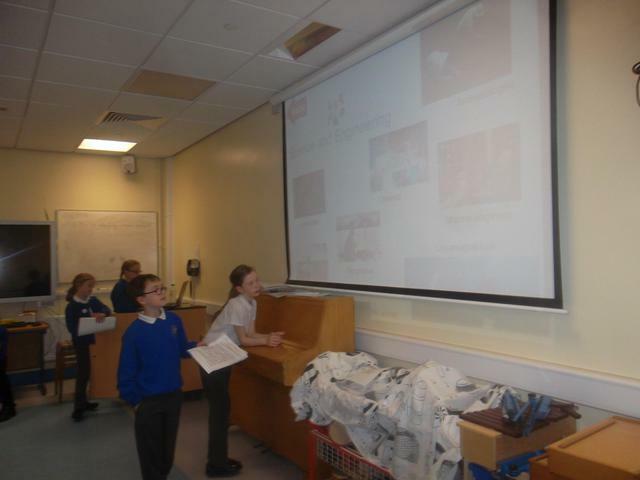 successfully delivered lessons on Wants and Needs and The World of Work to their classmates. 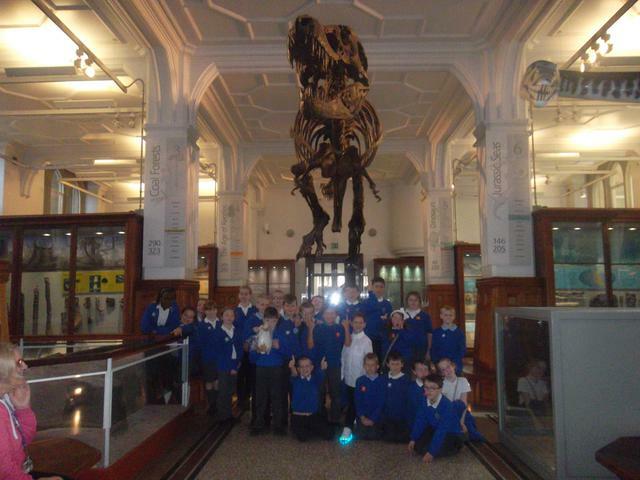 Our class had a lovely time at Manchester University Museum this week. 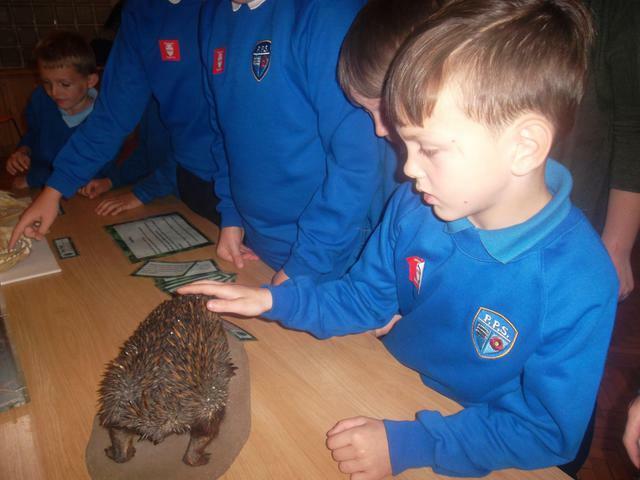 Children took part in a practical session led by Kerry all about how animals are adapted to survive in a rainforest environment. 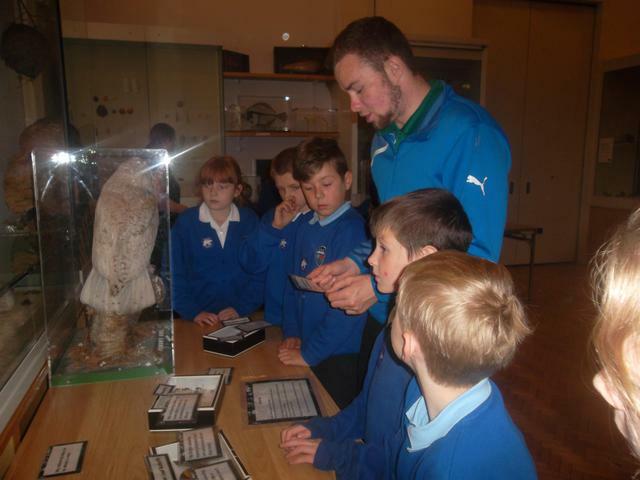 During the session, we had to work in groups to design a creature and to give us some ideas, we were given the opportunity to look at and touch a variety of stuffed animals. 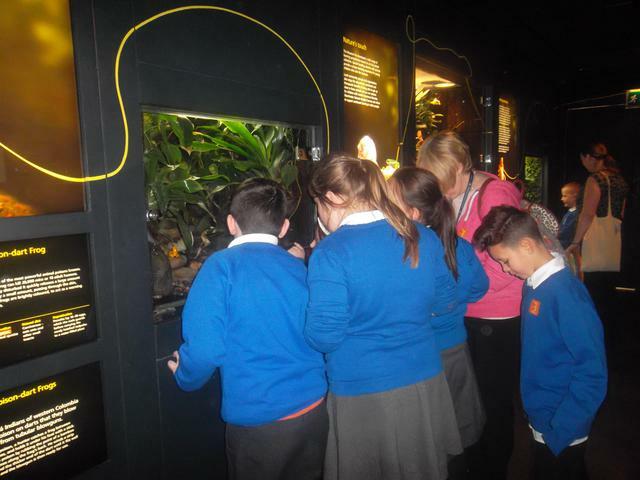 Once we had completed the session, we had the chance to have a look around the museum and we were all fascinated by the tiny frogs in the Vivarium which is home to many species of frogs, reptiles and lizards from South America, Australia and Madagascar. 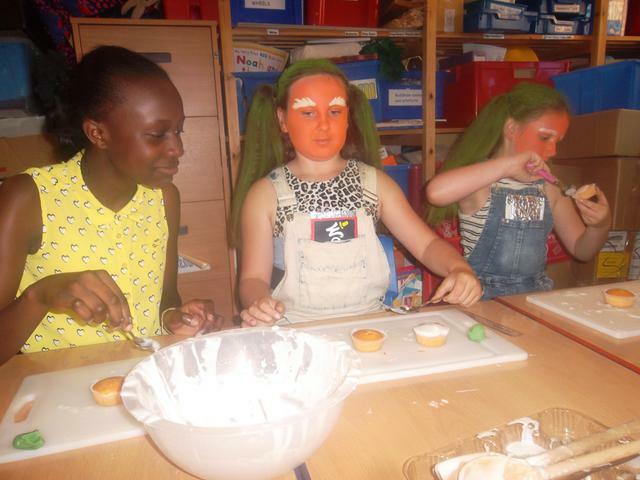 We had a fun-filled day this week to celebrate Roald Dahl's 100th birthday. 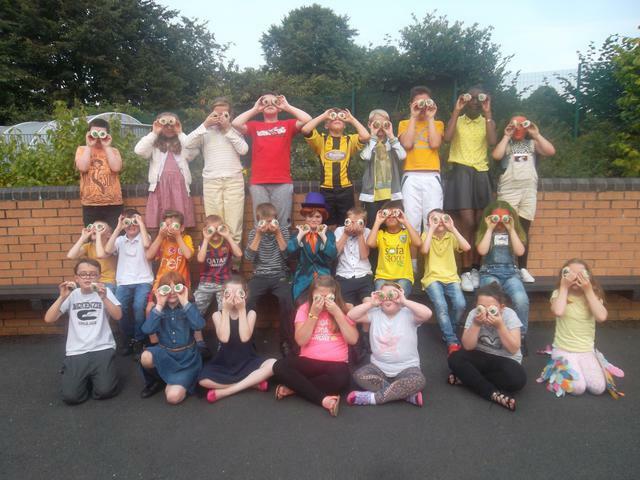 Everyone came to school dressed as a character from one of his stories or dressed in Roald Dahl's favourite colour, yellow. 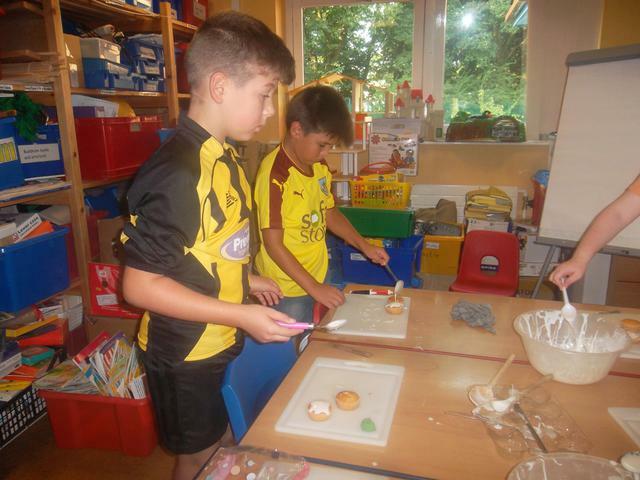 During the day, we listened to The Twits, made the Roly Poly Bird and decorated cakes to look like Mrs Twit's glass eye! 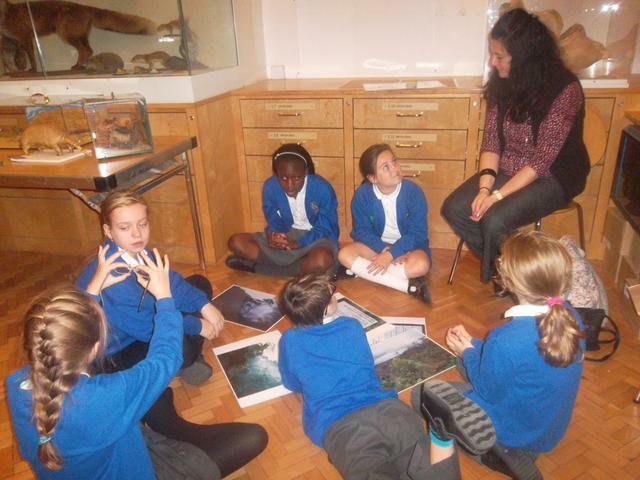 Our topic this half term is Survival!. 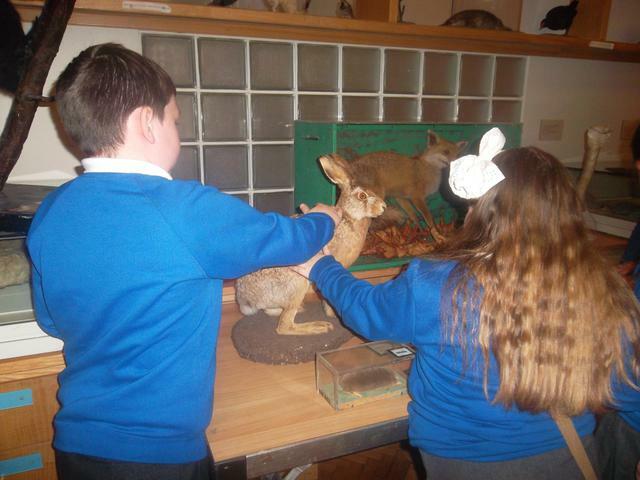 In Science, our focus is on finding out living things change over time and how animals and plants are adapted to suit their environment. 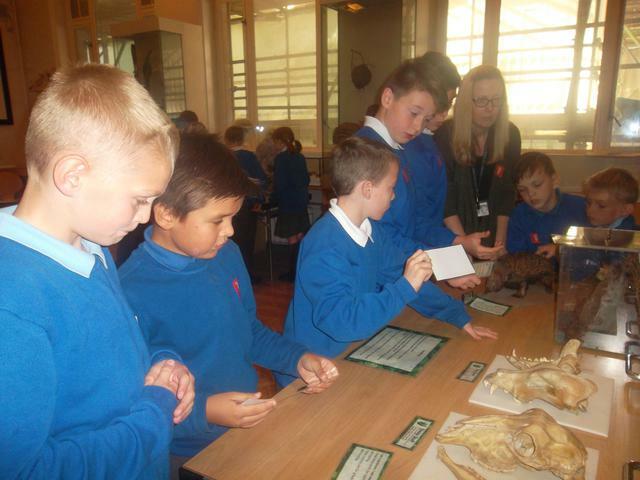 In October, we will be visiting Manchester University Museum to take part in a range of fun activities to further develop our knowledge and understanding of this topic. 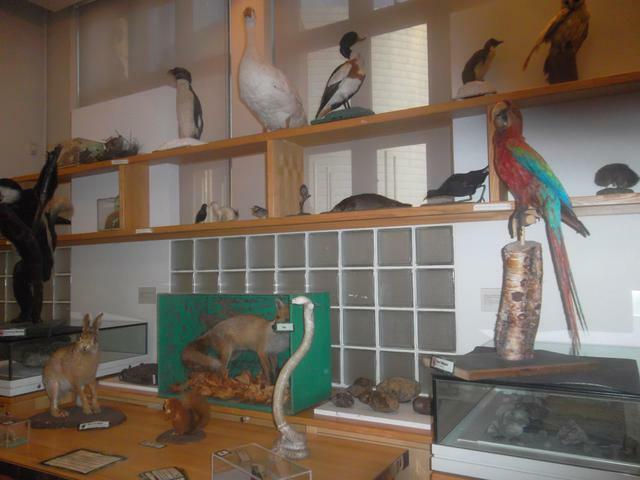 Our Geography work this half term will be focused on mapping skills and in Art, we will be investigating the theme of camouflage in the natural world. In English, we are reading The Elephant's Child by Rudyard Kipling from the Just So Stories and using this as a model for writing our own pourquoi stories. 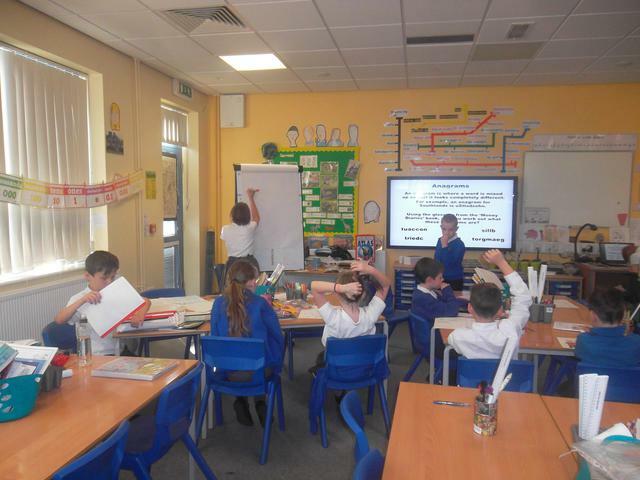 In every aspect of our learning across the curriculum, we will concentrate on improving our spelling and grammar knowledge. In November, as part of our English work, we have a cinema visit planned to Accrington Vue to watch The Jungle Book. 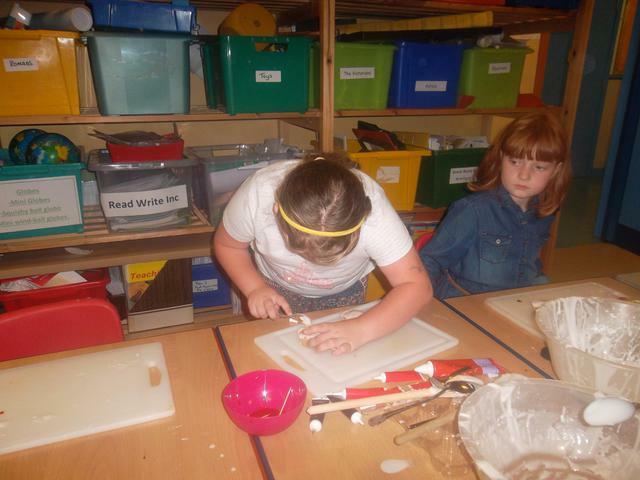 Homework will be given out on a Friday and is usually made up of a Maths and English activity. This should be returned by the following Wednesday. 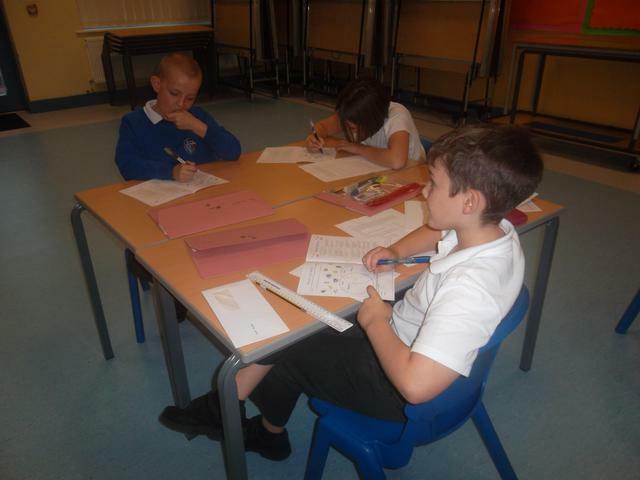 Spellings are given out on a Friday and tested the following Friday. Reading books can be changed daily and Library books can be changed over the week. 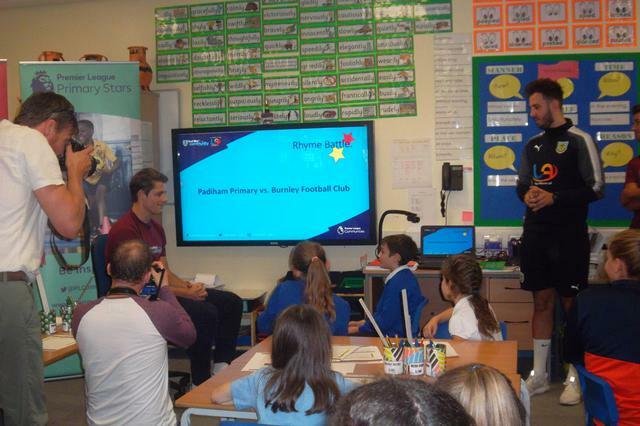 PE is on a Thursday so make sure your full kit is in school on that day. As always, if you have any questions or concerns, feel free to catch myself or Mrs Darbyshire at the start or end of the school day. We look forward to a happy and exciting year.